QUESTION: What happens when the home team falls behind three games to one? 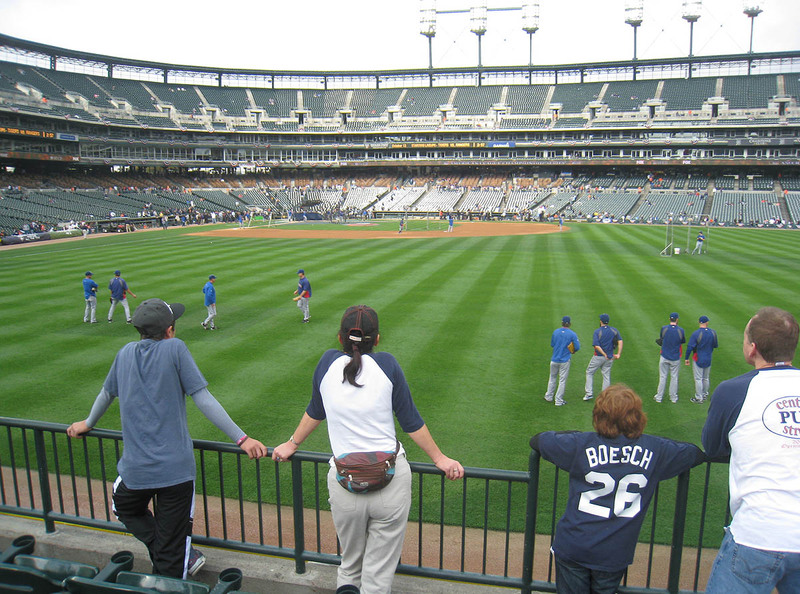 ANSWER: Ticket prices plunge and very few people show up early for batting practice. VERY few people. 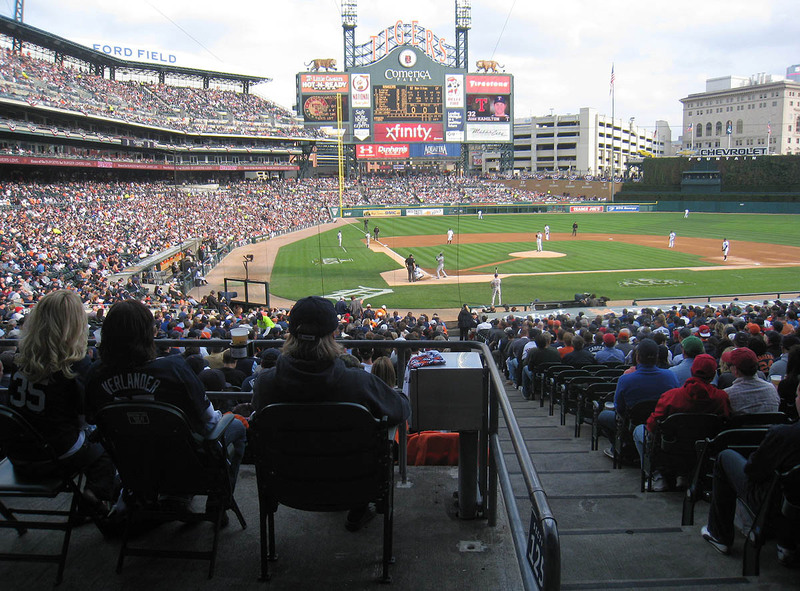 When Comerica Park opened at 2pm, there was such a small crowd outside the right field gate that I almost couldn’t believe it. There couldn’t have been more than three dozen fans, and best of all, despite the iffy weather, there *was* batting practice. How did I snag those first four balls? 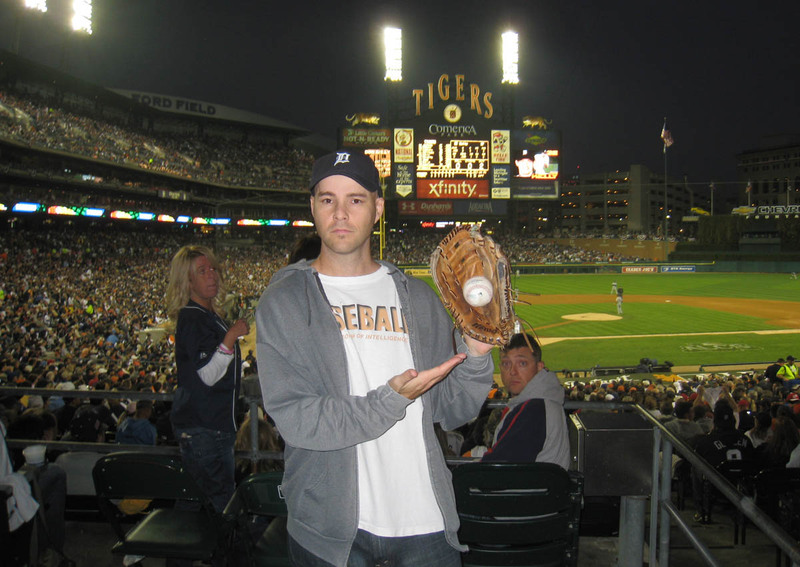 The 1st was sitting on the warning track in right-center, and I reeled it in with my glove trick. 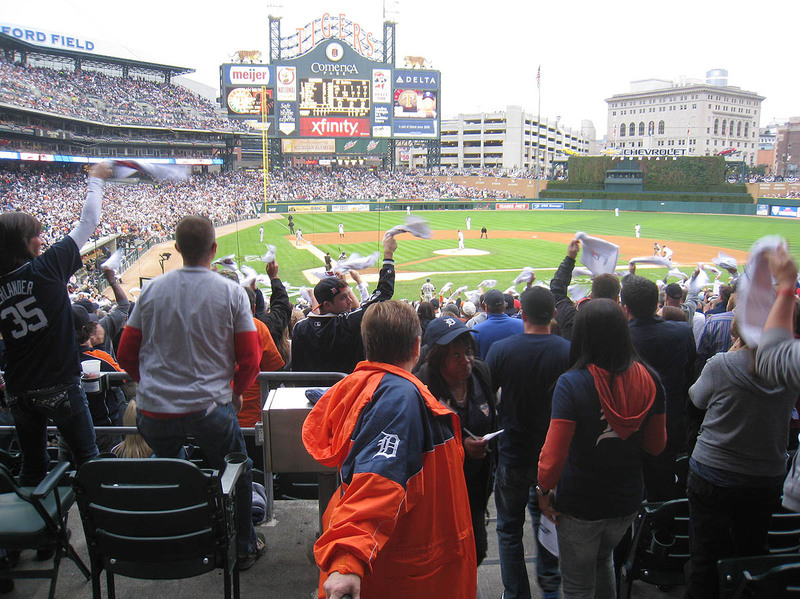 The 2nd was thrown by Phil Coke in right-center; his aim was so bad that I had to lunge out of the stands and trap the ball against the padding of the outfield wall. He responded by giving me a thumbs-up and complimenting my athleticism. The 3rd ball was tossed by Doug Fister in straight-away right; it was intended for David, but sailed over his head, and since David had already snagged half a dozen balls and was rubbing it in my face (in an adorable seven-year-old kinda way), I decided to keep it…for the time being. The 4th ball was thrown by Austin Jackson in right-center, and Ben got the unofficial assist. 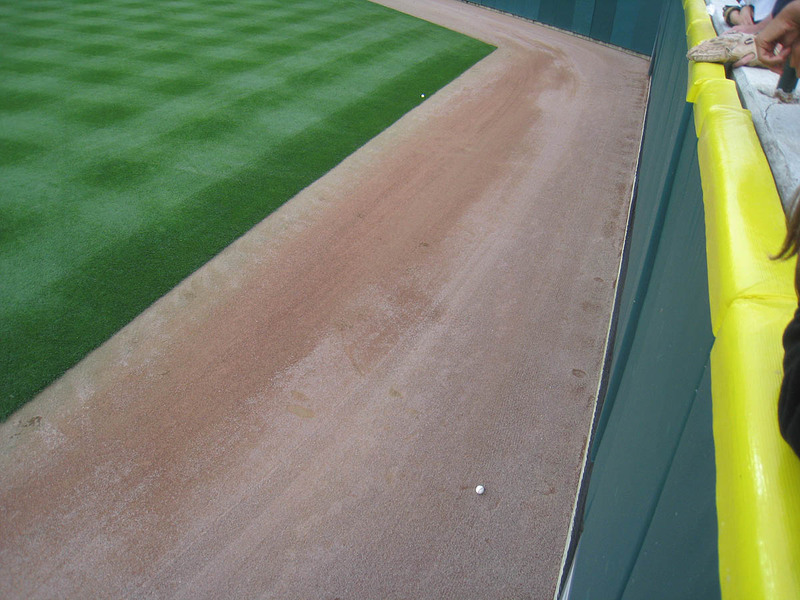 One of the batters had hit a line drive toward the gap, so I started running toward it, hoping that I’d be able to glove-trick it at the base of the wall. Jackson, however, raced over and fielded it, and for some reason, I completely gave up. Ben shouted at me to keep going and told me to ask Jackson for the ball — so I did. And I got it. I don’t know what I was thinking. Normally, I would’ve been all over it, but in this case, I guess I just lost my focus. Did you notice that the star on the left side of “OFFICIAL” is much closer to the stitches than the star on the right? It’s not a big deal — just kinda funky. 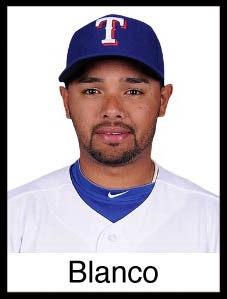 Rangers infielder Andres Blanco had seen me using the glove trick from afar. Evidently he was intrigued because he walked over and asked me how I did it. I told him that if he placed another ball on the warning track for me, I’d give it away to a kid — and that’s exactly what happened. But that’s not the whole story. While I was dangling my glove over the ball, the glove was twirling slowly, and Blanco kept moving with it so that he could see exactly how it worked. In other words, whichever direction the open pocket was facing, that’s where Blanco went, so he was practically running in circles to make sure that he had the best possible view. As a result, he wasn’t paying attention to the batter and nearly got drilled by a deep fly ball. Blanco reacted as you might expect from someone in that situation: he was startled as hell and nearly jumped out of his shoes. Rangers outfielder Endy Chavez saw the whole thing play out from shallow right field, and when Blanco cautiously turned his attention back to my glove trick, Chavez fired a ball in his direction. The ball thumped off the padding of the outfield wall and completely freaked him out, prompting a whole lot of laughter (from Chavez and his teammates) and a barrage of Spanish curses (from Blanco). It was truly hilarious. 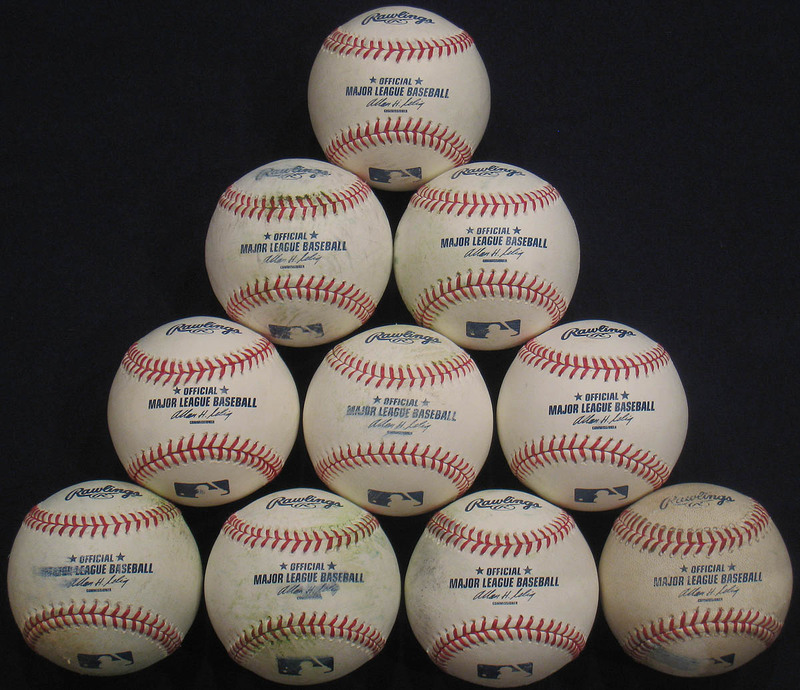 1) It was the first time that I’d snagged 10 balls at a postseason game. 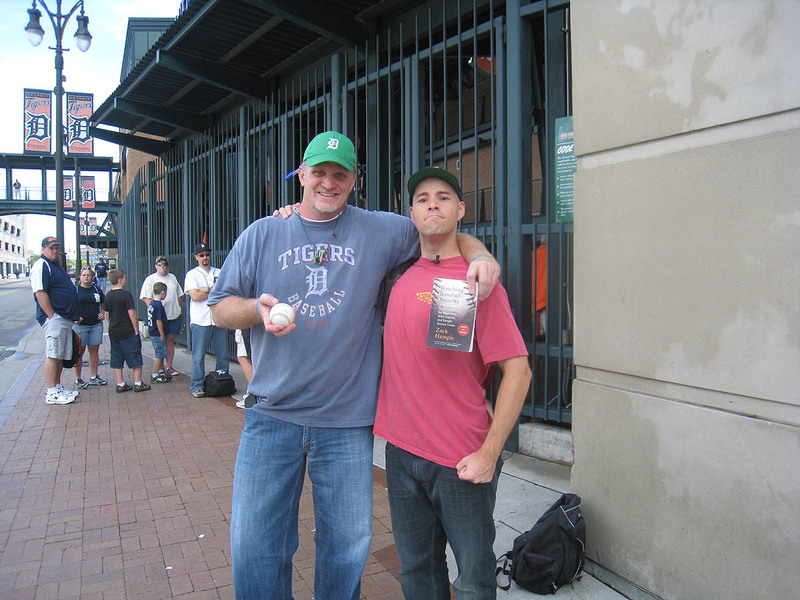 2) It was the first time that I’d snagged 10 balls at Comerica Park. And then I got another — No. 11 on the day — with my glove trick. Harrison saw me going for it and appeared to be ever-so-slightly miffed, but was nice enough to let me keep going. Ben, meanwhile, had snagged eight (including a really nice play on which he climbed up on a bench and caught a home run), and David (who never stopped talking trash) had gotten seven. In the photo above, do you see the two guys handling the basket of balls? The man on the left was wearing a jersey that simply said “13” on the back. There was no name, but that didn’t matter. I simply took a peek at my cheat-sheet and learned that it was a coach named Johnny Narron. Then I called his name and got him to toss me my 12th ball of the day. Hooo-haaaa!!! Now, do you remember everything I said about the standing-room-only tickets in my previous entry? 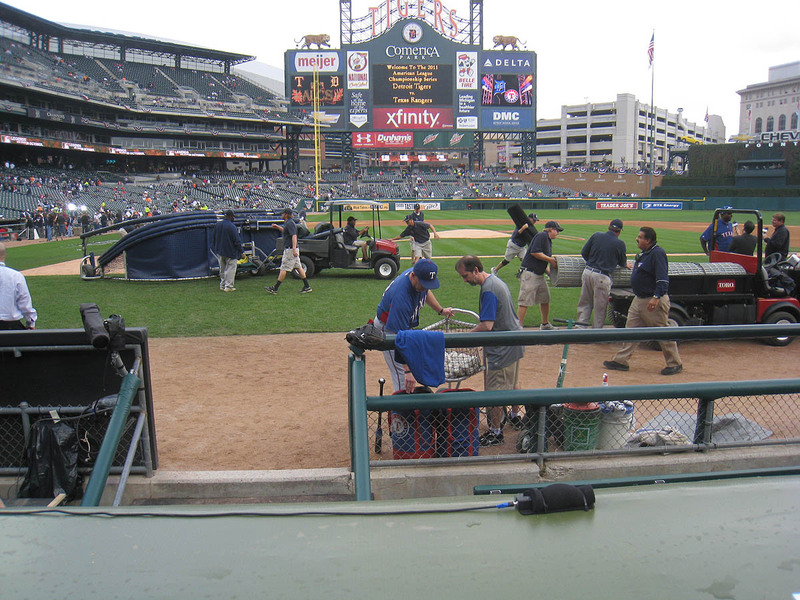 To refresh your memory, those were the tickets that Ben and I had bought, and we were allowed to stand in an awesome foul-ball spot *in* the actual cross-aisle behind home plate, but in order to keep that spot, one of us had to stay there at all times. I’m repeating this because Ben and I had the same tickets again for Game 5, and if not for a very kind gentleman named Mike, we would’ve been screwed. It was a good game. The Rangers, one win away from their second straight World Series appearance, took a 1-0 lead in the top of the 1st inning. 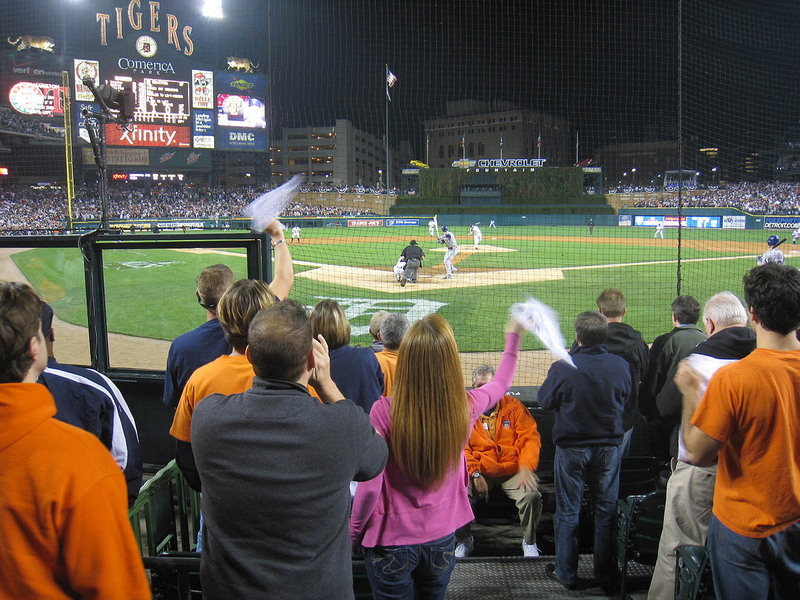 The Tigers tied the game in the bottom of the 3rd and took a one-run lead in the 4th. The Rangers tied it in the 5th, but the Tigers answered with four runs in the 6th. And so on. Very exciting and lots of fun. “Are these balls that you’ve purchased or snagged at games?” I asked. “All of the above,” he said. 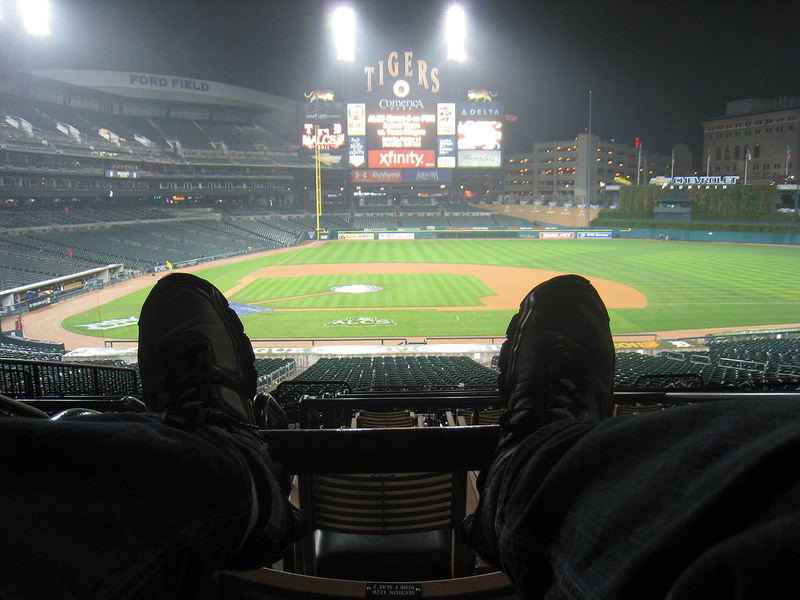 For the first half of the game, I never left my spot (except to chase the occasional foul ball). 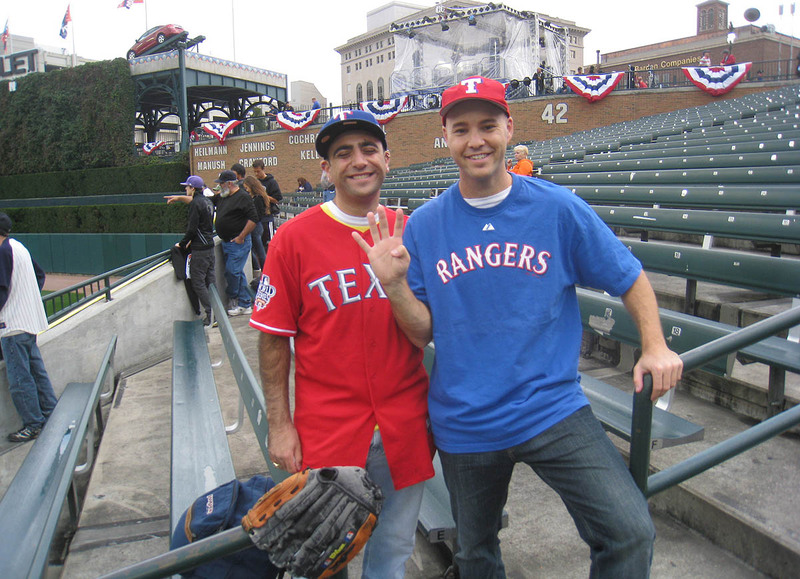 I never went down to the Rangers’ dugout for 3rd-out balls, and when left-handed batters stepped up to the plate, I never headed to the 3rd base side. Most of the batters were right-handed anyway, and I was content to just stand there and watch — that is, until the top of the 6th inning. That’s when I decided to move to the 3rd base side whenever there were two lefties in a row, as was the case with David Murphy and Mitch Moreland. As it turned out, one of them did hit a foul ball near me, and even though I didn’t catch it, it was nice just to use my legs and to see the game from a different angle. 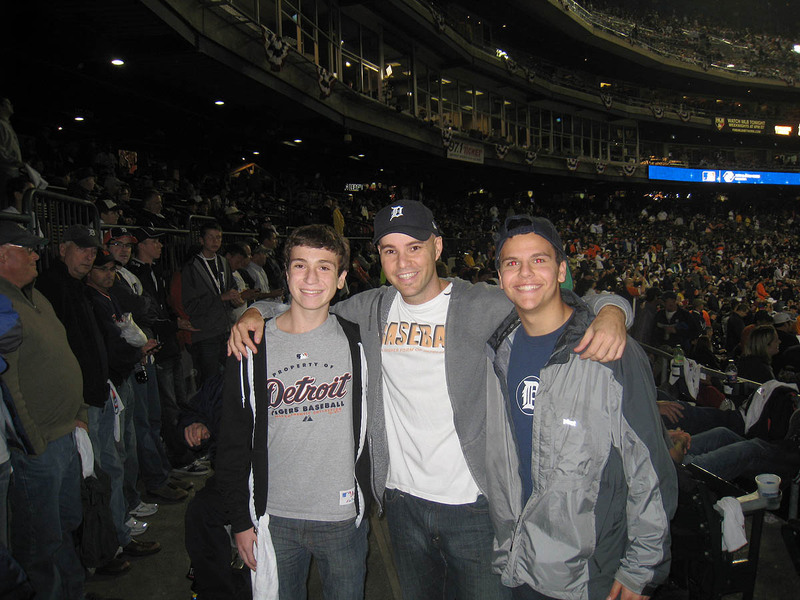 In the bottom of the 6th, Alex Avila was the lone lefty, but I still made the effort to hurry to the 3rd base side. Same result: no foul ball for me, but whatever. I was having fun running around, so I wasn’t stressed out about it — but then again, I kind of did want to catch a foul ball. 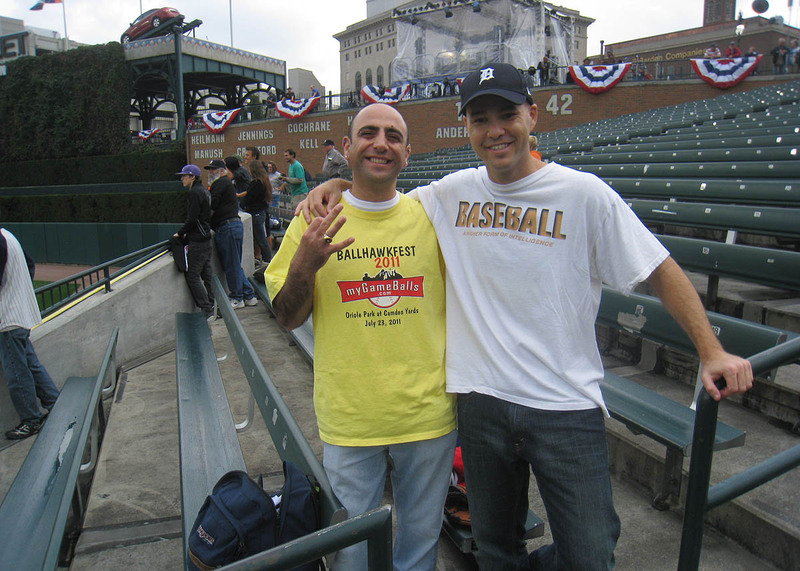 After batting practice, I had called Alan Schuster, the webmaster of MyGameBalls.com, and learned that I’d already broken two records: most balls at a postseason game and most balls in one game at Comerica Park. Therefore, if I did somehow manage to get another ball, I’d be setting the bar even higher for the next challenger. Fast-forward to the top of the 7th. Elvis Andrus (a righty) was due to lead off, Josh Hamilton (a lefty) was going to bat second, and Michael Young (a righty) was in the No. 3 slot. I’d noticed that Hamilton hit lots of foul balls throughout the game, so I made sure to get over to the 3rd base side when his turn came up. Every single standing-room spot was taken over there, so in order to hang out in that vicinity, I had to stand against the side wall of a staircase behind the cross-aisle. Normally, I would’ve been kicked out of that spot, but because it was so crowded, I kinda managed to blend in. And then it happened: Hamilton swung a bit too late at a pitch from Justin Verlander (who doesn’t?) and fouled the ball back in my exact direction. At the time, I was standing on the first step of the staircase, and I determined right away that the ball was going to fall about ten feet short, so I scooted down into the aisle, then crossed the aisle, and finally headed down the steps into the seats. Lots of fans had spilled onto the staircase, so I had to weave my way around a few other guys, and at the last second, as the ball was coming right toward me, I jumped and reached up and caught the damn thing right above everyone else’s hands. Part of me was stunned; I’d actually managed to impress myself. But the other part of me just shrugged it off; I was, after all, standing in a high-probability spot, so what was the big deal? 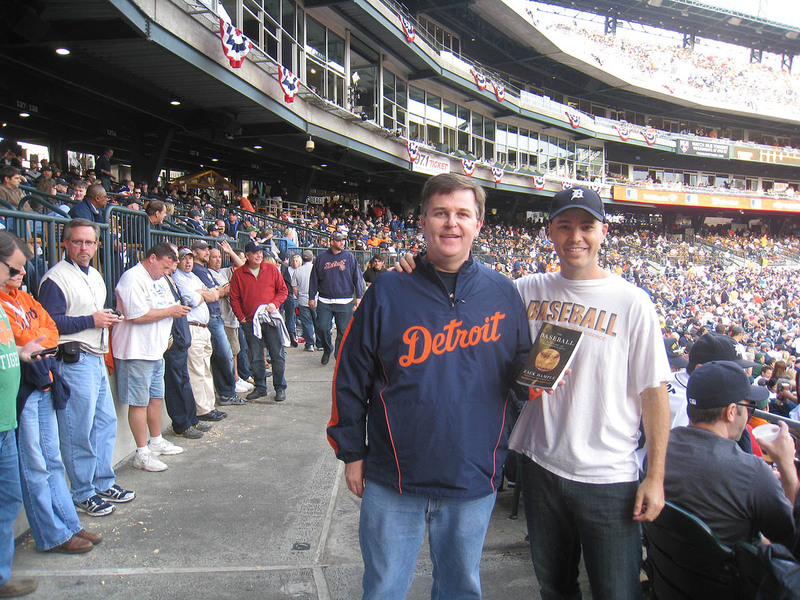 Even though I didn’t *know* that Hamilton was going to hit a foul ball, I was more prepared for it than anyone else around me, so that’s why I’d gotten a good jump on it. 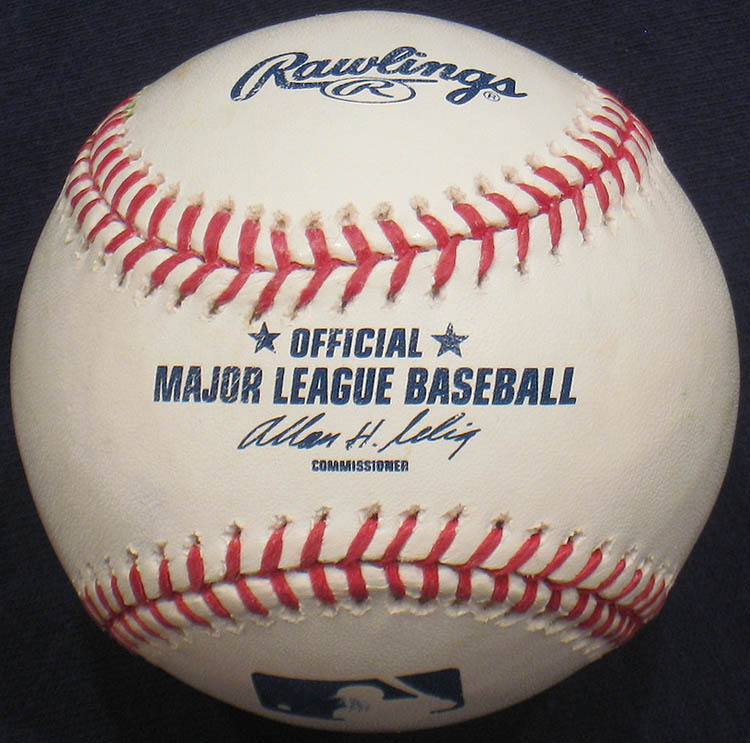 It’s a shame that Major League Baseball no longer uses commemorative balls during the first two rounds of the postseason. They used to (from 1996 through 1999), and it made ballhawking much more fun. 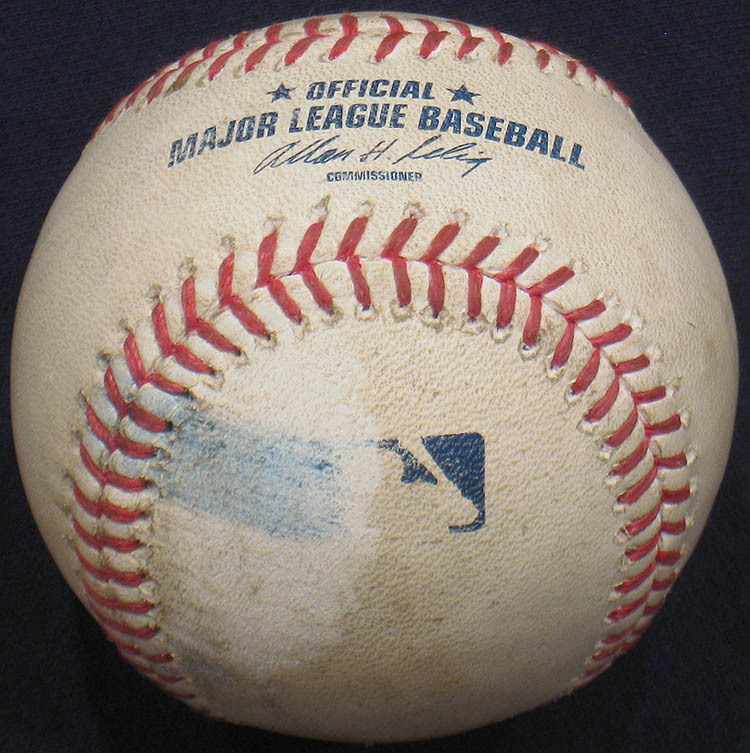 Check out this ball from the 1999 ALDS and this ball from the 1999 NLCS. Those were the good ol’ days. 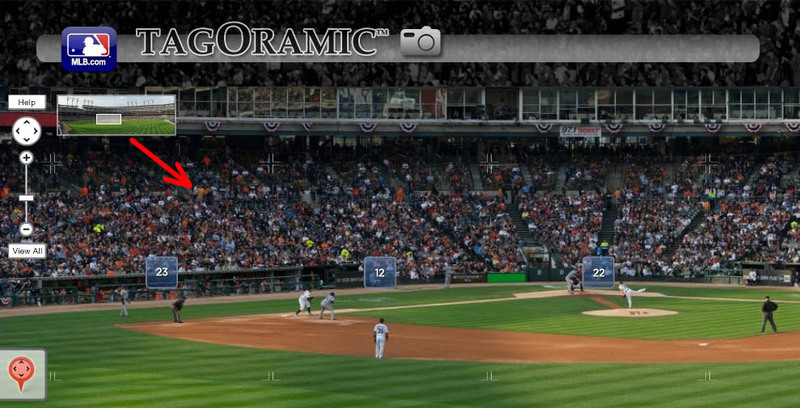 In the photo above, that’s Josh Hamilton at bat. He ended up drilling a double to center field and scoring on a single by Michael Young. The next batter, Adrian Beltre, drew a five-pitch walk. Anyone want to guess what happened on the one pitch that was a strike? That’s right. Beltre hit a foul ball DIRECTLY to the spot where Ben and I had been standing ALL GAME. Unbelievable. Then Mike Napoli grounded into a fielder’s choice. Final score: Tigers 7, Rangers 5. Then Ben and I made the 600-mile drive back to New York City. I got home at 6:30am and (because I’m an idiot) didn’t get into bed for three more hours. • 1,143 balls in 129 games this season = 8.86 balls per game. Okay, ready for more photos? It’s been a while since I posted black light photos, so if you have no idea what it’s all about, click here. In the photo above, that’s me in the white T-shirt (yapping about something), Ben in the yellow shirt (wishing I’d shut up), and Mike standing just to the right (looking at us quizzically). Good thing we weren’t picking our noses. The thing about Texas is that it’s infested with critters a *heck* of a lot worse than bedbugs. . . the whole place is literally swarming with texans. If your gonna be at the World Series at Arlington I’m gonna start looking for tix. and it’s on a weekend. 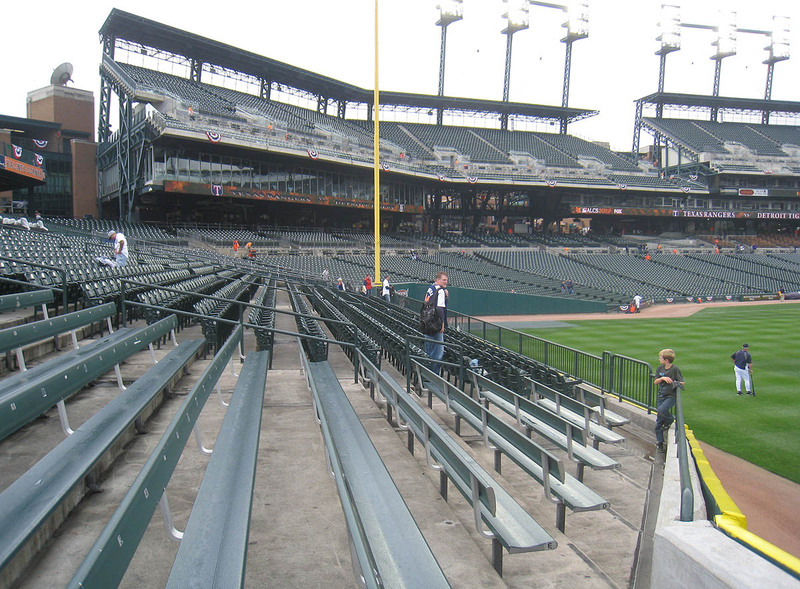 You sit in the bleachers, right? 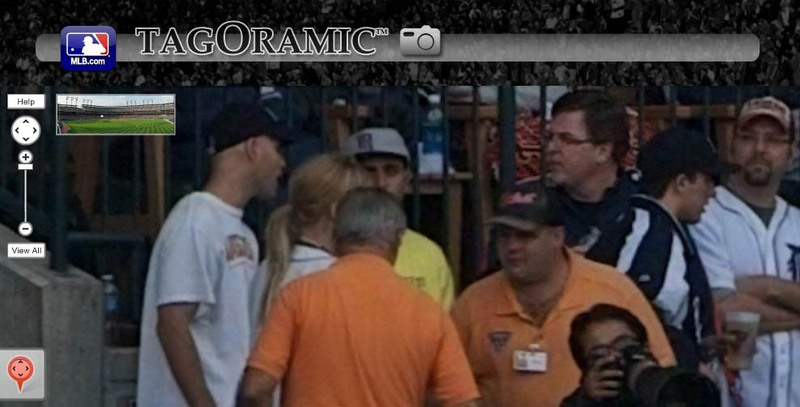 When I went to a spring training game in Suprise, Arizona, Nolan Ryan came and sat right in front of us. It was cool. 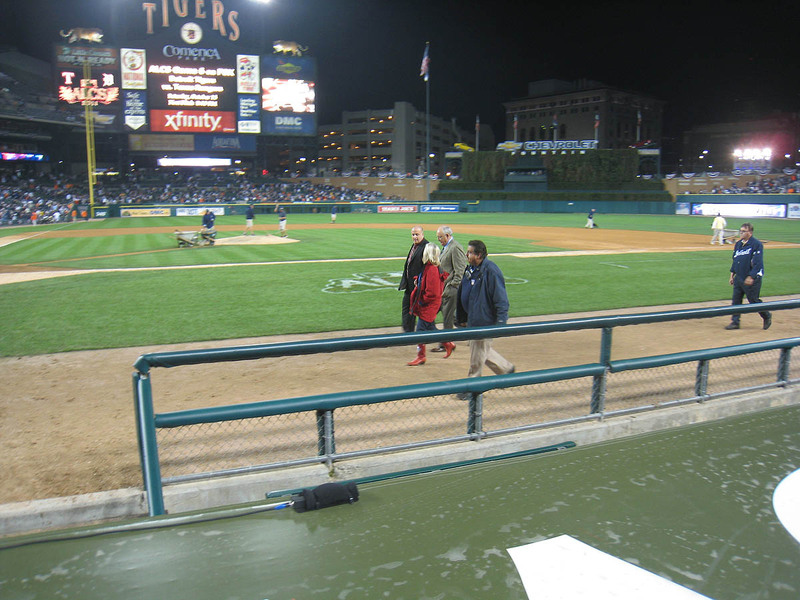 He would have stayed the whole game but someone sitting behind us decided it would be a great idea to go ask for his autograph and then security came and ejected him from that section. They also asked Nolan to leave for his “safety”. D’oh! Thanks for catching that. I just fixed it. Yeah, I’m hoping to get bleacher tickets. It would be cool to see you there. I’m going to be in Arlington for the World Series. I have tickets for Game 5 so far but have yet to get tickets for Game 3. It’d be cool to get to meet you. 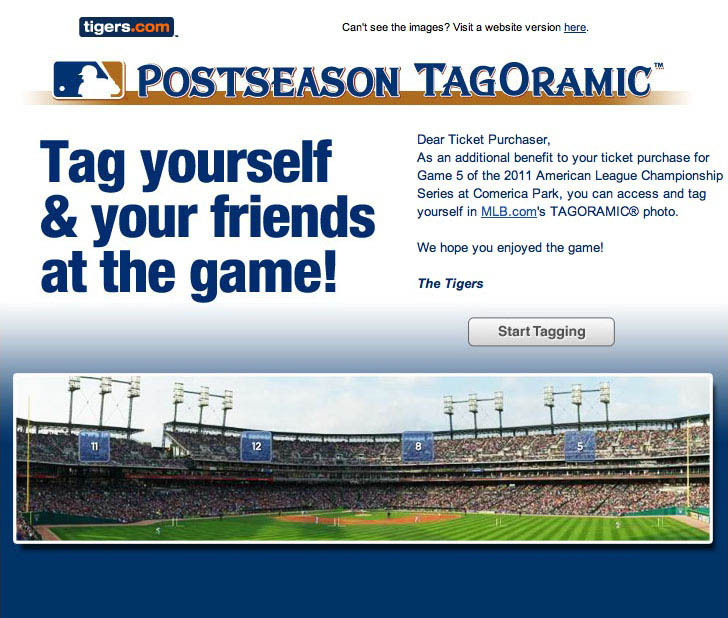 I may end up sitting in the bleachers too for Games 3 and 4 so I’ll let you know when I buy them. I’m sorry I meant Game 3 or 4. Yep Zack. For his safety. There were maybe 35 people at that game. Im going to Minnesota Friday with my dad and when we pass the Metrodome I am going to think about all the snow that plowed in to the stadium. If you do not know what I am talking about here is the link that shows the footage of over 67 tons of snow pummels to the ground of the old Minnesota Twins stadium. “…making phone calls.” Yeah, THAT’S what I was doing. 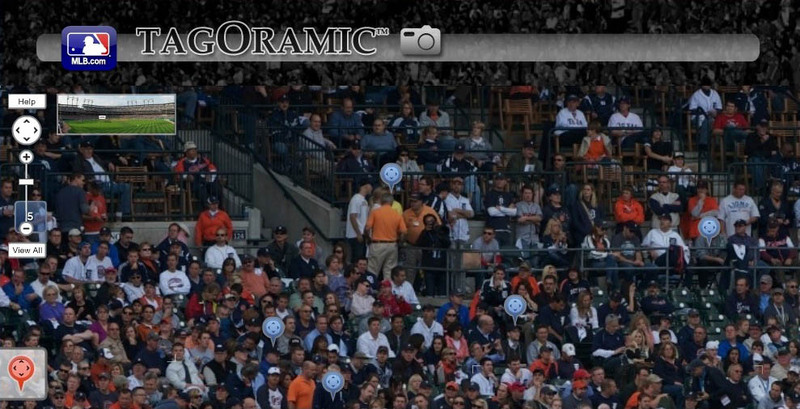 Notice the little marker in the fourth tagoramic picture (2nd closest view)? That was me, having tagged myself haha. And as for the Josh Hamilton foul ball, simply amazing. I mean, I know we were playing for foul balls, but you walked over, for one batter, to a particular spot, and returned with a foul ball. WHO DOES THAT?!?!? Given, it wasn’t right at you. I mean, you did have to walk down from the one step you were on, through the 8 foot wide cross-aisle, then down 2 steps into the seats and jump for the ball through a sea of hands, so ya know, you’re not perfect (insert rolling my eyes face at my own sarcasm here). If everyone in the world could make a list of 5 things they would love doing more than anything else, and be the best in the world at one of them, only then could they understand what snagging a baseball (or more specifically in this case, a foul ball) must be like for you. And we’d all be a lot better off! Hey Zack, was surprised myself how few people were in line when the gates were open. I was the guy standing in front of you when you got there. Got there at 1:15 and expected alot more people. Got 4 down by the first base line. Hey man it’s been a while since i’ve posted on your blog! It was an awesome game. I love doing that kind of “spot myself” thing! I did at our game in May at Rogers Centre when a Blue Jays player hit a homer. I’m hoping that next season we can meet at more than one game! (Maybe Detroit, definitely the Centre, maybe Cleveland. Even Philly would work. Then you could meet my cousin). Thanks. I seriously can’t wait. Crazy stuff about the roof. I remember seeing this video when it first happened and wondering if it was real. As for Nebraska, no, I don’t think I’ve ever been there. Awesome stuff. I remember seeing your blog at the time. I remember you and was wondering where you went and how you did. Very nice. Welcome back. Philly is probably the best option since it’s so close to me, but it’s so crowded that I don’t like going there anymore. I really like Cleveland and would love to spend a few days there. We’ll figure it out next year. I can’t even think about it now. Great meeting you guys. For me, the thing with Twitter is that I only follow people who are really close friends (as opposed to people that I’ve only met a handful of times), so I’m gonna hold off for now, but I *did* add you both to my “baseball friends” list so that I can check up on you easily and see what’s going on. Hope that’s okay. Lots of people have asked me to follow them on Twitter, and I always feel bad when I don’t, but that’s just how I’m doing it for now. Great game as always Zack and hope you to do well in the WS. I got Hershiser’s autograph earlier this summer at the Little League World Series. Yeah, I just heard about it. Maybe this is what the Scrabble world needs — a little controversy to draw more people in. I do know the guy (Nigel Richards) who won the championship, though not well. I’ve met him a few times at national events here in the States. Thanks very much, and nice job with Hershisher. btw….I was the one who wanted to met you in Houston 4/29/11…..I’ll be in a corner spot in CF and hopefully we can meet each other finally……hope to see you there…..
Zack: Would you pass along Howard’s contact info to me, or mine to him? I have some Hank Greenberg memorabilia from his heyday that I’d like to share with him. Thanks! I can’t make it to the WS because ticket prices are sky rocketing so I will see you next year. Zack, I know you love your old school Razr phone. Gonna splurge on the new Droid Razr smartphone??? Slimmest smartphone around…. It’s good to hear from you and good luck with the tickets. Let me know if you’re gonna make it. Wow, that *is* a lot younger than I expected. I don’t mind making a list of dates and games, but I usually don’t plan things out so far in advance. I mean, in August next year, I might decide to go to Kauffman Stadium in September. This was an unusual season for me. It probably won’t be like this again next year — or ever. I don’t know if I’ll make it to Kauffman at all next season. 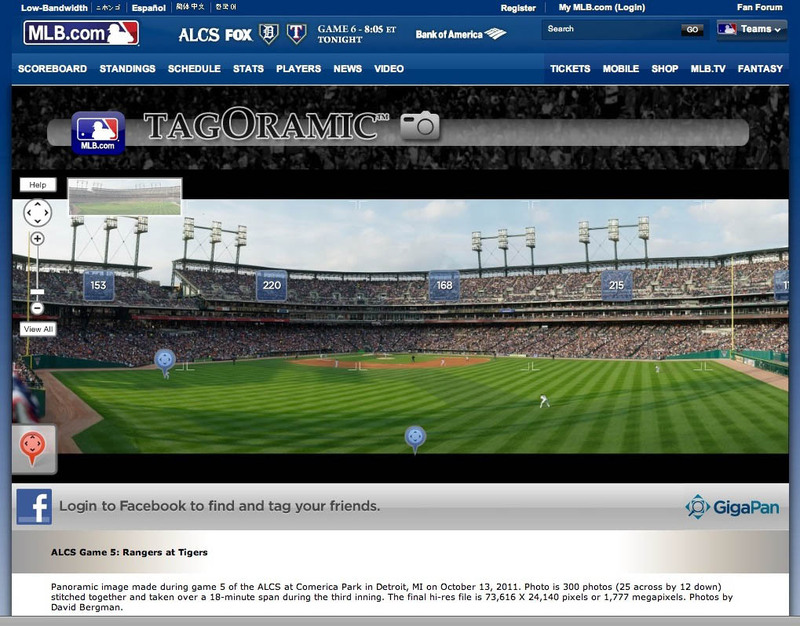 I’d like to be there for the Home Run Derby, but there’s no guarantee that that’ll happen. I just sent Howard your email address and Facebook link. Thanks so much (on his behalf)! Hopefully he’ll get in touch with you soon. I wouldn’t say that I “love” my old phone. I just dislike cell phones in general (for a variety of reasons), so I’m avoiding the technology as much as possible. I’m trying to wait as long as possible before I become one of THOSE people, and when I do, it’s gonna be an iPhone. No question about it. OK cause my dad wants to get us tickets to HR Derby and All Star Game. David ended up getting 9 balls…..And he is a little smack talker. Great seeing you again. We will see you next year.